Attention Inland Empire Business Owners & Managers! You have an IT emergency and you need help right away! My computer IT support company is slow to respond. My systems are slow, unreliable or always have problems. I have been a victim of ransomware or another cyber attack. My company is growing and I feel like I am outgrowing my current provider. I feel like I am being overcharged by my current provider. Our comprehensive security solutions reduce risks, mitigate online threats and help you stay compliant. We respond fast to help you when problems arise. We proactively monitor and manage all of your IT infrastructure 24/7 to prevent problems from happening. Our backup solutions give you confidence knowing your data will always be safe, secure and recoverable 24/7. Reduce IT overhead and give your company on demand, anytime, anywhere access. No CIO, No Problem! We are your trusted advisor for all things technology. Having a vCIO that we can trust to be our partner in providing cost-effective I.T. solutions helps us succeed. Biztek listens, educates us and provides us options when we plan our I.T. strategy, as well as provides quick response to any I.T. issue, big or small. Biztek makes us feel like we have a big I.T. dept for our organization. We have worked with multiple I.T companies in the past and Biztek is the first company that is timely in their responses. We appreciate that all requests are responded to and worked on within an hour or request. 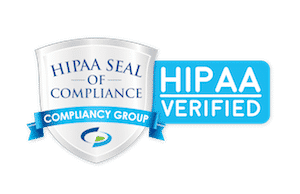 Biztek has also provided us with innovative solutions to overcome unique challenges for our practice, including a backup solution that can get us up and running within an hour of a failure and bringing our practice into HIPAA compliance. We transitioned IT services to Biztek a few years ago and the transition from our former provider was very smooth. Biztek now monitors and manages our systems and is transparent with keeping us informed on any issues that arise and quick to respond in an emergency, which gives me great comfort as a business owner. Plus, we recently moved into a new office and Biztek handled all technical aspects of the move for us including ensuring telephones and internet service was ordered and working, and that all equipment was moved carefully and setup correctly in the new office. Order Today the Free Report entitled “The 8 Most Critical IT Security Protections Every Business Must Have In Place Now To Protect Themselves From Cybercrime, Data Breaches and Hacker Attacks". Riverside, Corona, San Bernardino, Rancho Cucamonga, Ontario, Fontana, Chino, Moreno Valley, Redlands, Temecula, Los Angeles, Pomona, Pasadena, Chino, Anaheim, Irvine, Fullerton, City of Industry and all surrounding areas. Urgent Security Warning for Businesses Running Windows 7 or Windows Server 2008! 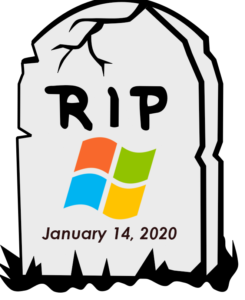 If your organization is currently running Windows 7 on one or more computers in your office and/or if you are running Windows Server 2008 R2, you need to know about a dangerous security threat to your organization that must be addressed before January 14, 2020. Click here to schedule a Free Migration Assessment.